The Thing has volunteered to test new equipment for Tony Stark's company under the supervision of Bill Foster. The group soon find themselves under attack by the Hijacker, who is armed with toxic gas and a powerful crime tank. 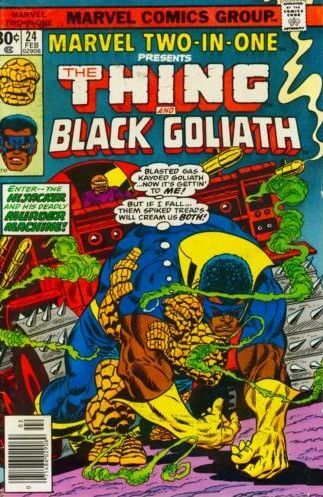 It's too much for the Thing to handle alone, but thankfully, there's more to Bill Foster than meets the eye.